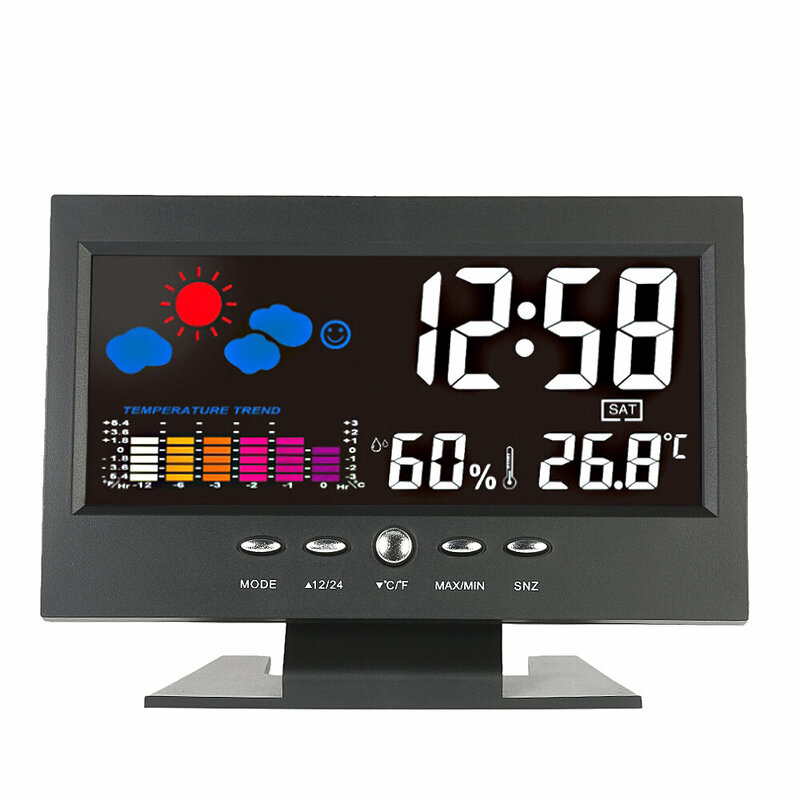 Measure temperature and humidity, °C or °F switchable. Record Max. & min. temperature & humidity value. Clock display, 12/24 hour switchable. Show you time, date, month and week, and you can set time, date, month, year by yourself. 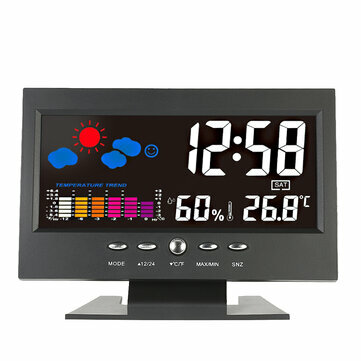 With alarm, snooze function, weather, comfort level, temperature trend indication, really practical. Voice-activated backlight, energy-saving and convenient to use. You can turn off the voice control function through the switch on the back of the product. With a hanging hole, it also can be hung on the wall.